Teacher Advisor is a free resource that helps K-5 teachers plan lessons. Using IBM Watson, Teacher Advisor sifts through professionally vetted content, allowing teachers to find lessons, activities, and teaching strategies catered to their own classroom needs. How might we help teachers save time while lesson planning and find materials that are customized to their students’ specific needs? I conducted desktop research, interviewed 3 out of our 8 participants, affinity diagrammed the research findings with my team, and led the development of our persona, Ted the Teacher. I also illustrated the storyboard of Ted’s day (keep an eye out for the sticky note saga gif below). Here's a video of me presenting this storyboard and persona to these stakeholders, including Phil Gilbert, the head of design at IBM. The features that we developed as an outcome of our process are now being implemented within Teacher Advisor. Counter to my social sciences background, I realized through this project that— as informative as raw data can be— the most relatable way for humans to make sense of data is through a story. I also gained an understanding of the value of zooming out on a project and considering the system that surrounds a user. For example, while teachers are the primary users of Teacher Advisor, we learned through our research that teachers’ administrators, students, and families are also integral players in this problem space. This project was developed under a jointly taught internship-course by the University of Texas at Austin & IBM Design. More information about this course can be found here and here. From our desktop research, we gained a better understanding of the current landscape of lesson planning, which involved familiarizing ourselves with the Common Core, what teaching standards are, and how they differ among states. Not only did this information inform our primary research objectives, but it was also crucial to understanding how Teacher Advisor currently organizes content. Our prioritization grid for research objectives. What do teachers consider a successful lesson plan, and what do they consider a failure? Where are teachers, physically, when they lesson plan? How do teachers feel at each step of the lesson planning process? 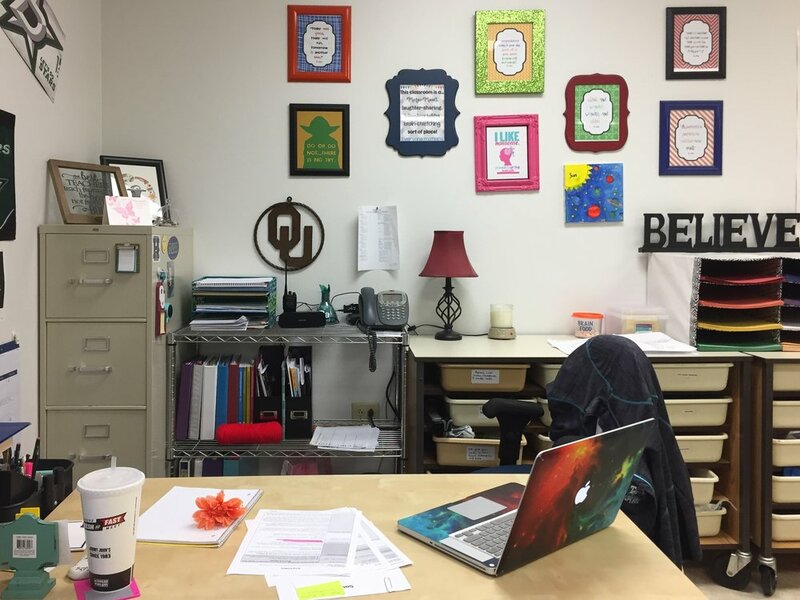 The desk where one of the teachers we interviewed completed her lesson planning. 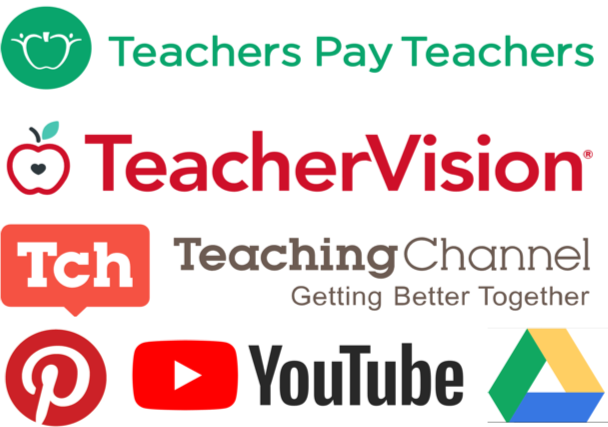 Most common online resources that teachers mentioned using. 1) Teachers often feel like they have too many resources for lesson planning, which are overwhelming and time-consuming to sift through. 2) The most time-consuming part of lesson planning is making modifications for each individual student's needs. 3) More often than not, teachers take their work home with them. My teammates and our almost-finished affinity diagram. To better empathize with our users and their pain points, we decided to create a user persona. Our user persona, based on our research findings. A glimpse at Ted's weekly schedule, based on our research findings. Here’s a video of me presenting Ted the Teacher's As-Is Scenario to a live audience. The time pain point was distilled from the interviews with teachers and the interview with a child of 2 teachers. They expressed that it is very difficult for teachers to maintain their desired work-life balance because they have little time available during their work day for lesson-planning. “Planning periods” are often filled with mandatory departmental or administrative meetings, and as a result, actual planning must take place after work, displacing time spent with family members. Public school classrooms are typically comprised of students with many different needs: some students require more attention in math, some students may need specific fonts for dyslexia, while others may require calmer activities. Teachers must adapt their lesson plans for each of these students’ individual needs, and these adaptions are called 'modifications' in the teaching world. While teachers may be able to reuse lesson plans from previous years, these modifications must be made for each lesson and require additional planning time. Ted can find material customized for his particular class makeup using Teacher Advisor, in less than 10 minutes. Ted is able to complete lesson planning at school so that he can maintain and develop his family relationships. After several iterations, the solution that we developed was a customization tracker in the Teacher Advisor planning interface. These small, color-coded icons would allow Ted the Teacher to keep track of whether specific modifications had been met. This solution also allows Watson to perform searches tailored to each teacher's classroom-specific needs and predict supplementary material that Ted the Teacher may need for his upcoming classes. Upon logging in for the first time, users are prompted to build an initial classroom profile based on individual students’ needs. Watson generates a lesson plan that best fits the classroom profile. Each activity is tagged with potential modification requirements that it may fulfill, based on previous teachers’ use of Teacher Advisor. If users want to remove an activity and replace it with another, they can find more similar activities that fit their classroom profile needs by clicking on the Watson icon. Upon logging in the next time, users are prompted to provide a quick, yea-or-nay review of each activity to allow Watson to more accurately predict users’ future lesson-planning needs. If we had the opportunity to further develop this concept, the next step we would have taken would have been creating a higher-fidelity prototype and testing it with several teachers in situ, ideally over a whole school semester. One potential issue that we foresaw with this concept is the rate at which students' needs change, versus the rate at which Watson can learn a teacher's needs. If students' needs change quicker than the rate at which Watson can learn, then our concept would need some heavy revision. This does pose a rather interesting, socio-technical question though: is there a way we could teach Watson to learn teachers needs, quicker than students typically change in their learning needs?